I was 11 when Muppet Babies was introduced. I grew up watching The Muppets, and so even at 11, the Muppet Babies was something on the television Saturday morning cartoon lineups, so I watched, with my younger sister of course. 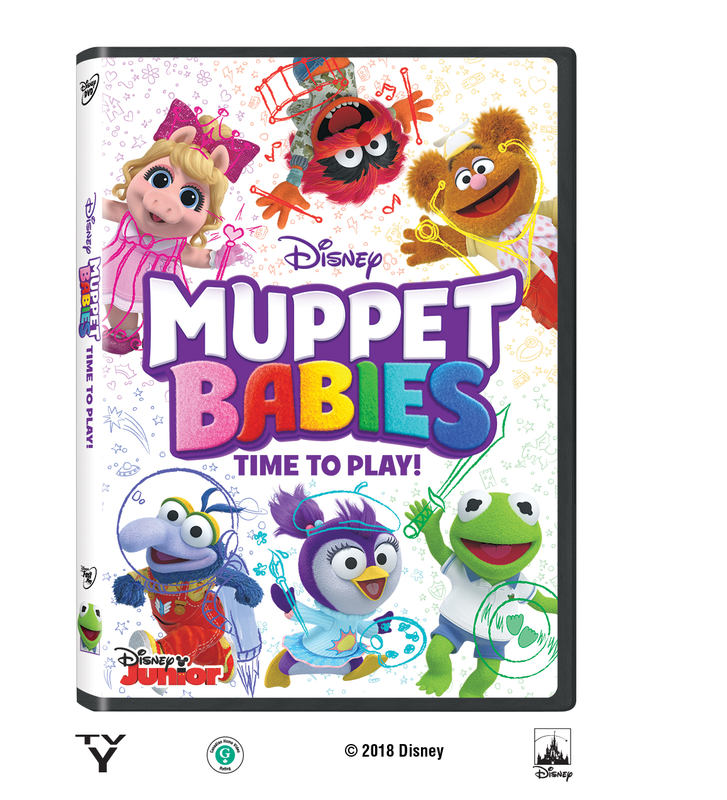 After all these years, Disney Junior brings back the babies, and now you can own the New Muppets Babies DVD Time To Play. MUPPET BABIES – “Animal Fly Airplane” – During an imaginary flight to Paris, no one lets Animal take the controls. “Sir Kermit the Brave” – The Muppet Babies use their imaginations to take off on an epic adventure to find Miss Nanny and Kermit helps a dragon get over her fear of the dark. *Golden Globe® Award-winner Rachel Bloom (“Crazy Ex-Girlfriend”) guest stars as Dot the dragon. “Animal Fly Airplane” – During an imaginary flight to Paris, no one lets Animal take the controls. “Super Fabulous vs. Captain Icecube” – When Piggy pretends to be a superhero named Super Fabulous, she must learn to share the spotlight with Summer’s superhero alter ego, Captain Icecube. “Piggy’s Time Machine” – Piggy learns the importance of patience after accidentally sending the gang on a wild trip through time in an imaginary time machine. “The Great Muppet Sport-A-Thon” – The Muppet Babies put on a sporting competition and Piggy must learn how to be a good sport and get back in the game after losing several events. “You Say Potato, I Say Best Friend” – When Gonzo becomes best friends with a potato, the rest of the Muppet Babies must learn how to include it in their games. “Hatastrophe” – While playing with Fozzie’s favorite propeller hat, Kermit accidentally lets it fly into the neighbors’ yard. *Fan-favorite Muppets Statler and Waldorf make a guest appearance as the next-door neighbors. 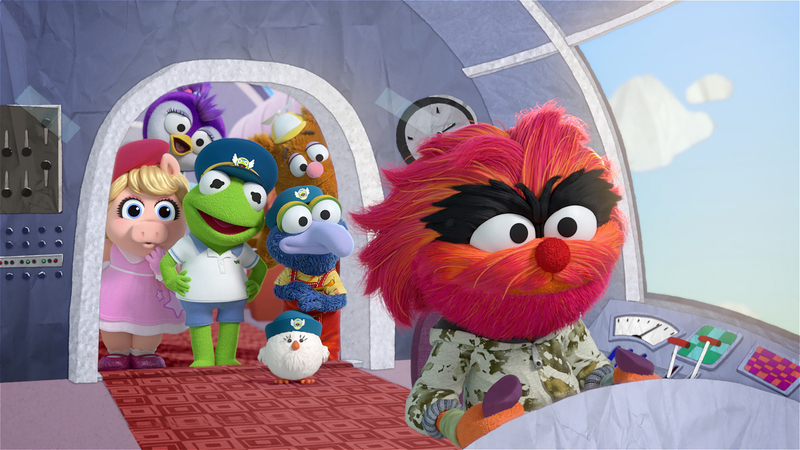 “Fly South” – After learning that birds fly south for the winter, Gonzo tries to keep his feathered friends from leaving. On top of the episodes, the new DVD also includes over 2 hours of additional content including 10 bonus shorts and 6 music videos. *Disney sent me a copy of Disney’s Muppets Babies Time To Play to share this post with my readers. All opinions are my own. Hey Buddy!, I found this information for you: "New Muppets Babies DVD Time To Play". 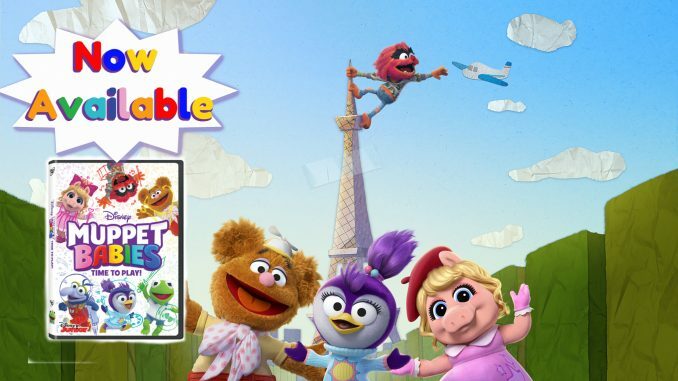 Here is the website link: https://www.trippinwithtara.com/new-muppets-babies-dvd-time-to-play/. Thank you.